By Cynthia R. Walker, CEO, Mark H. Smith, Inc. Since the financial crisis in 2008, the credit union industry has experienced a significant increase in total deposits, along with a transition from time deposits to non-maturity deposits. Aggregate call report data from SNL Financial reveals that total credit union funding in 2008 was $693.4 billion dollars with 54% of the deposits in non-maturity shares. From 2008 through the first quarter of 2015, credit union funding grew by $339.4 billion and non-maturity shares grew to 70% of the total funding. 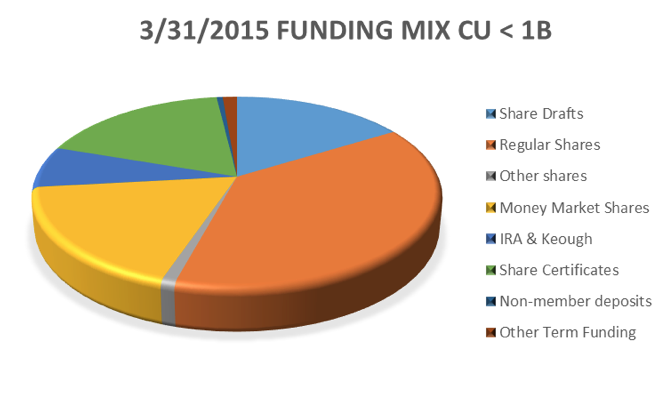 The picture is slightly different for credit unions with total assets less than 1 billion. 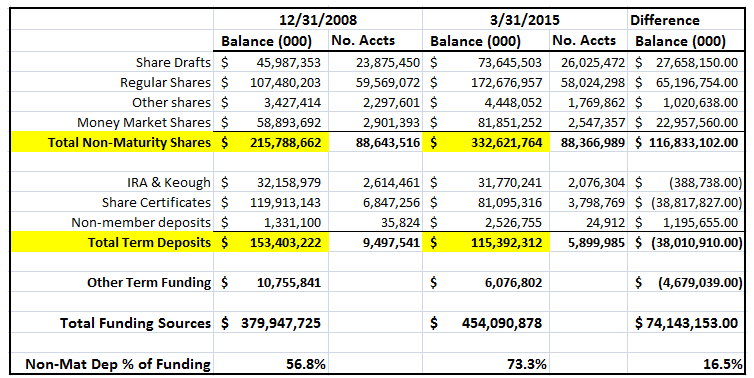 The total funding sources were $380.0 billion with 56.8% in non-maturity shares at the end of 2008. As of March 2015 the funding grew by $74.1 billion to $454.1 billion and a shift from term deposits to 73.3% now in non-maturity deposits. 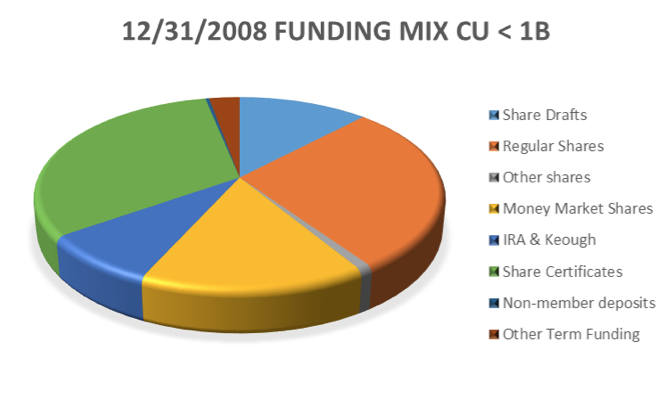 Do we think the additional shares that came into the credit union after 2008 are going to stay at the credit union? Do we have a segmentation strategy in place so we do not have to raise rates on all deposits, but only on the rate-sensitive money? A couple of things we know for sure; rates have been very low for a long time and the funding mix for credit unions has changed. We also know we are in a situation where past behavior may not be a good predictor of the future of these deposits. There are several schools of thought on this topic. Some think the deposits moved to the credit union for safety and liquidity, with very little regard to interest rate. The people who had solid savings during the crisis survived, those who did not struggled. Others think the delta between regular share rates and money market rates, versus certificate rates is not enough for the member to lock in a rate, especially if they think rates are going to rise. Most likely it is a combination of both scenarios. I think it would be very worthwhile and prudent to consider the variables and periodically run multiple scenarios through your model to evaluate possible outcomes. Then discuss the outcomes with the management team and make adjustment or changes to your IRR management plan if necessary. Also consider evaluating scenarios that are plausible and even likely, along with the traditional stress scenarios. This additional testing will help provide a strong understanding of interest rate risk at your credit union.